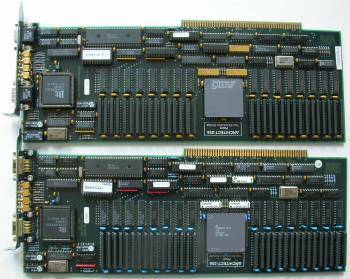 This has got to be one of the most novel graphics cards for the Amiga. Apprently it was used to simulate an air traffic control system for training aircraft controllers. It was used with dual monitor displays and some simulation software. This displayed the radar screens that would be used in a real air traffic control tower. It is unlikely you could use these cards as general purpose display cards because of a lack of drivers. 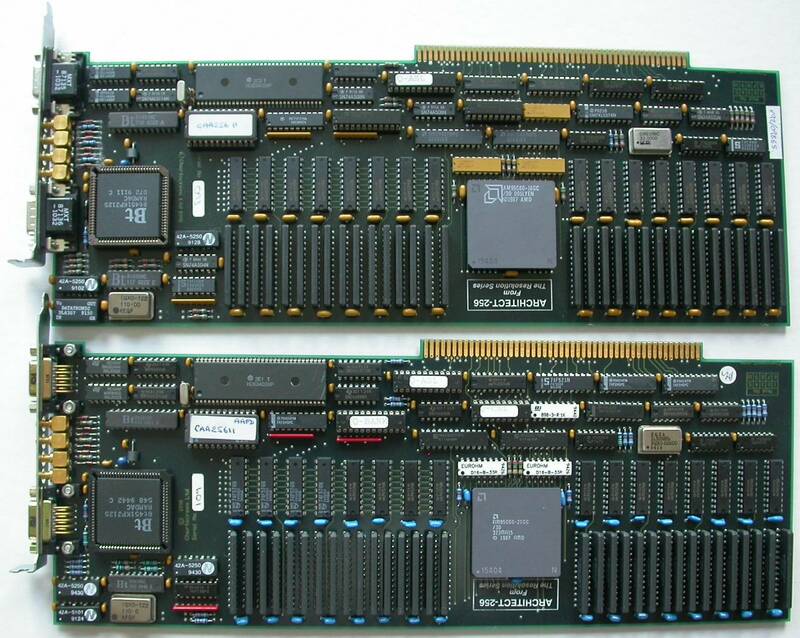 The card has two backplates, 2 x DB 9 (male and female) plus Sync, R,G,B and plugs into a Zorro slot. Page contributors: Lord Nicon, Robbie Almond.